ÜberTwitter for BlackBerry | BlackBerry Blast! 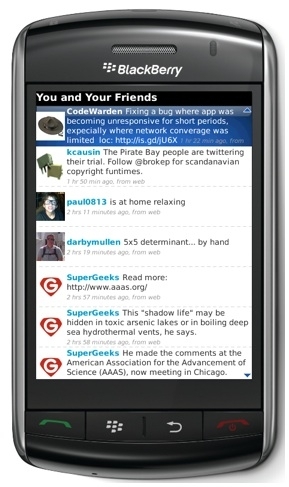 ÜberTwitter is a new Twitter client for the BlackBerry that is in public beta and available for download. ÜberTwitter's list of features looks promising and even includes location-based services and video support.